Home Photos Snowshoe Mountain Join Us for the SkiSoutheast, Snowshoe Summit March 1st-3rd! Join Us for the SkiSoutheast, Snowshoe Summit March 1st-3rd! Huge Discounts on Lodging and Get Free Sunday Lift Tickets FREE, As Well as First Tracks! 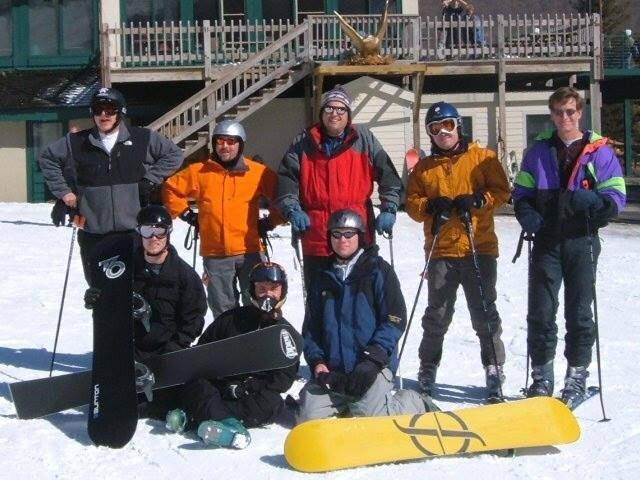 It is hard to believe, but we will be celebrating our 12th Annual SkiSoutheast / Snowshoe Summit that began back in 2008 as the brainchild of former Snowshoe Mountain staffer, Laura Parquette. Honestly, just a great way to get discounts on lodging, lift tickets and meet new friends who love to ski. Many of our attendees have been to every Summit ever held. They will tell you that some of their best friends were found by riding together. Check out this five minute video for a bit of the “flavor” of past Summits! Check out the LATEST Skier’s Forecast for Summit Weekend! 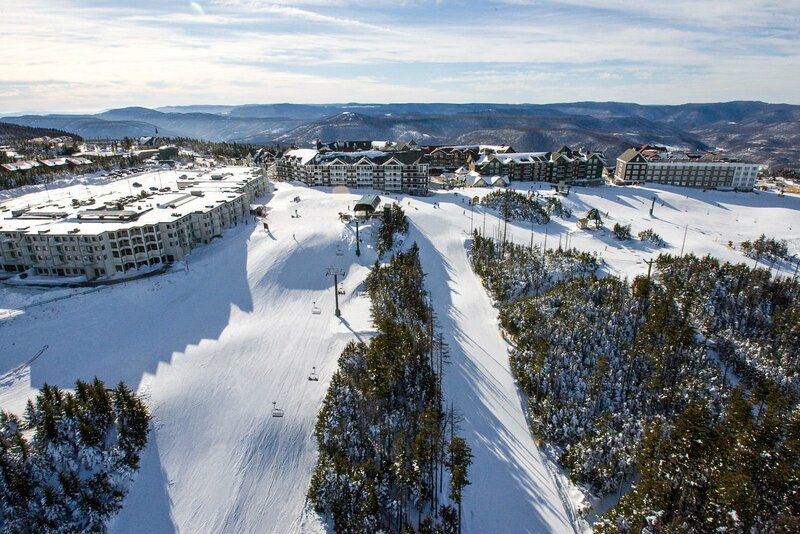 Perks and Benefits – Rates as LOW as $126.65 at the Inn at Snowshoe and $181.90 at the Top of the Mountain! First Tracks on Sunday morning is the best! Free Sunday lift tickets for everyone in your group up to the maximum allowed in your room ($99 value per ticket!). First Tracks on Sunday morning at the Soaring Eagle Lift. This is my personal favorite part of the weekend as we get 30-45 minutes where only our group gets to ski and snowboard! SkiSoutheast.com will be giving away new STICKERS, BEANIES and MORE at the Boathouse deck on Saturday from 1-2pm. This only applies to those booked through Snowshoe and on our attendees list. How to Take Part – DO NOT TRY TO BOOK ONLINE. YOU WILL NOT GET OUR DISCOUNT! Here’s how it all works…. REMEMBER YOU GET A FREE SUNDAY LIFT PASS FOR ALL GUESTS BOOKED IN YOUR UNIT (UP TO ALLOWED OCCUPANCY PER UNIT). The cut-off date for making reservations is March 01, 2019, after which rooms will be sold on a space-available basis. Obviously, this is a great deal from ANYONE reading this post, and you’re welcome to take advantage of this deal. However, it’s a lot more fun joining us for some time around and on the mountain. We will be emailing all those who have registered below – periodically over the next three weeks to keep you informed with changes in where and when we might meet up. We will be giving away lots of SkiSoutheast freebies and you’ll not want to miss anything. To ensure that we stay in touch with you…simply fill in the form below and let us know that you have BOOKED and will be attending the summit. Fill out your reservation number to be entered to win some freebies! We'll use this to cross check attendees. Look for SkiSoutheast’s peeps over on Silvercreek Trails. We’ll have some stickers and maybe some beanies and hats to give away. SkiSoutheast.com will be giving away beanies, stickers and more. We’ve just debuted our new logo and we are getting some new gear made up and plan on giving a bunch away. You’ll want to be on time or early as the freebies go quickly. 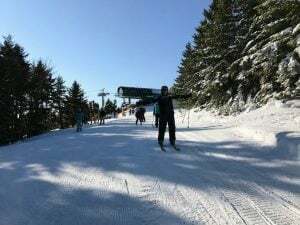 For those who wish to ski the mountain before anyone else marks up the snow, simply show up at the top of the Soaring Eagle lift at around 8:10-8:15am and you can ski the mountain for 30-45 minutes with Snowshoe and SkiSoutheast. ALSO REMEMBER TO GET YOUR SUNDAY LIFT PASSES FOR FREE! The process for getting your FREE SUNDAY LIFT PASSES is the same as it was last year. Simply GO TO THE DEPOT on Saturday and refer to yourselves as being part of the Ski Southeast Summit Group, in order to receive their Sunday Comp Lift Tickets. Make sure to fill out the form ABOVE to let us know you’re coming. We’ll also use it to do some giveaways. If you are planning on attending make sure to book a room ASAP! 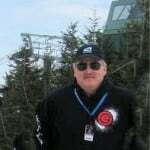 Like every ski area in the region, Snowshoe is having an excellent winter thus far and people are flocking there. Rooms are filling up fast so make sure to reserve your accommodations today! We hope you all will join us! It is always a great way to wind down the season, make new friends, have some drinks, hang out in the hot tub, and most importantly…ski and snowboard. Technically the first SkiNC Summit was held as a self-created event by eight guys from the messageboard back in those days. They met up at the old Hawksnest Ski Resort on February 27, 2005. The first “official” one was held at Beech Mountain on Feb. 26, 2006 and we did it again at Beech in 2007 – giving away a lot of vacation getaways and more. Check out some videos below from previous iterations of the Summit.